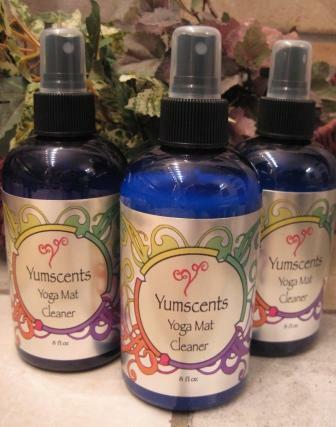 Our yoga mat spray cleaner is made with our own liquid castile soap and a special blend of essential oils. Just spray on and wipe off with a damp cloth and it will leave your yoga mat fresh and clean. Best of all, it's non toxic and smells great too! Available in 8 oz spray bottle.